A big win for Gatcliffe today. 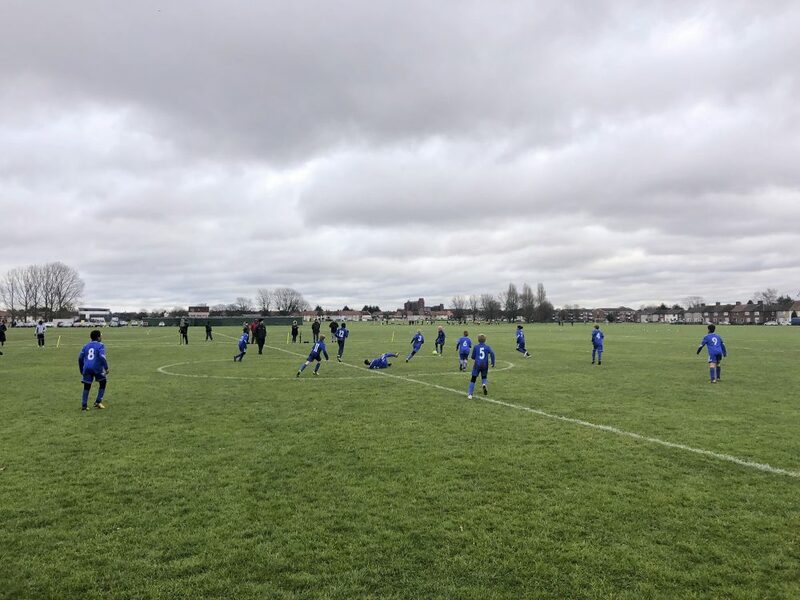 This ⚽️Match report⚽️ is from Bradley Challis, Gatcliffe Youth Whites joint team manager. Today we started, as hopefully many teams across the world had, paying respect for the recent tragic losses recently to our beautiful game. 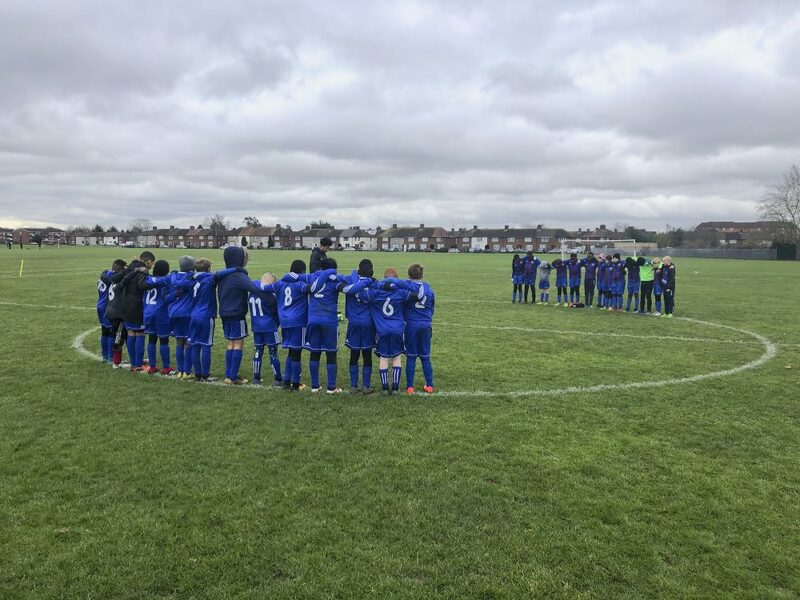 Wearing our black arm bands both teams gathered in the centre circle for a minutes silence. Today was our biggest match to date, a no lose game against our former club and the team who replaced us as we made the move to become the ‘Gatcliffe Youth Whites’. Losing to Dagenham Utd Blues was not an option and with recent wins we were sure that we could pull it off. The match kicked off and the boys were looking to make a quick impact. Passing out to the wings was the agenda for today, after a well drilled training session earlier in the week. It worked with immediate effect. Working the channels was opening up the opposition, and we were soon to take advantage of this. A nice ball played out to the wing was met by a Gatcliffe attacker which was soon worked into the box met with a low powerful shot rippling the back of the net. Faces of joy both on and off the pitch were a plenty but we would need to secure another to allow us to continue pressing the way we were once the Dagenham Blues would need to start chasing. Some well organised defending and some brave goalkeeping was keeping the now impatient Dagenham at bay. A foul on the edge of the box set up for a chance of extending our lead. The ball was placed down and with a perfectly taken shot over the wall just managed to dip perfectly underneath the crossbar. The celebration of choice for such a goal was high fives all round which made a nice change from the usual dance moves the boys like to cut. Team spirits were high and the play was great to watch as we were engaging in battles all over the pitch of which we were winning for the majority of. The whistle blew up and we gathered together for the halftime team talk. The boys were over the moon with their performance so far as were the team coaches. The plan was simple, keep a high line and keep feeding the wings. The match resumed and both teams were not yet willing to give up especially the Gatcliffe boys, we had been waiting for this meeting ever since the league teams were named early last year. The momentum was once again with us and chances were a plenty. We were starting to repeat what had worked so well in the first half and the whole team were working as a unit all playing their individual roles and working the ball just like we had practiced. It wasn’t long before we had hit the net again followed shortly by another. 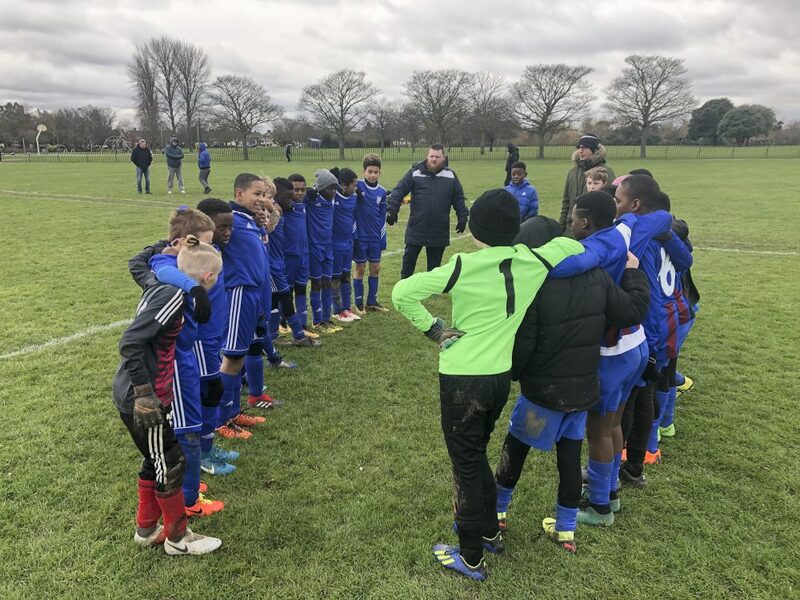 The boys started to get a little complacent, and the Dagenham boys even more eager to save a little face, knowing that they were the team that had replaced us. A long ball over the top helped on with the wind left the Dagenham forward with plenty of time on his hands. A nice shot lifted over the Gatcliffe keeper the Blues had got a late conciliation goal they had tried so hard to get. We soon got our heads back in the game and Gatcliffe responded immediately working the ball nicely around the Blues goal but just failing to hit the all important target. A foul within the box gave us our last chance for one more. With the score line well in our favour, a quick choice to give an unexpected penalty taker was picked, giving him a chance of a goal (something we will continue with across the team when in the position to do so). Unfortunately the penalty was missed, but hey ho even the greats have missed in the past, and this certainly won’t be the last. As the whistle blew up for full time the boys were glowing as were the parents but in true Gatcliffe fashion hand shakes and commiserations were given to the deflated Opposition. Well done today boys. If we listen and work together as we did today, we will soon be a tough team to beat👍.